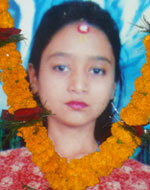 Around 11 p.m. on July 15, 2004, a group of 12 armed soldiers arrested Sarala Sapkota at her grandfather’s house. The family, who witnessed the arrest, stated that soldiers gave Sarala no reason for her arrest. After her arrest, Sarala’s family went to Baireni barracks and the DPO in Dhading, but all the officials denied her arrest and detention. Details of the Incident and Developments: Around 11 p.m. on July 15, 2004, a group of 12 armed soldiers arrested Sarala Sapkota at her grandfather’s house. The family, who witnessed the arrest, stated that soldiers gave Sarala no reason for her arrest. After her arrest, Sarala’s family went to Baireni barracks and the DPO in Dhading, but all the officials denied her arrest and detention. Sarala’s father then filed an application with the NHRC on July 26, 2004 asking them to investigate the “disappearance.” The family received no information about Sarala for over 16 months. 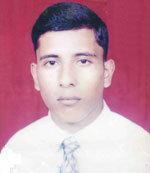 On January 11, 2006, an NHRC team, including forensic experts, exhumed Sarala’s body from a place near her village. Sarala’s father confirmed the clothes and slippers found belonged to his daughter. NHRC investigations are continuing, and the NHRC states it is awaiting the results of DNA tests on the remains. 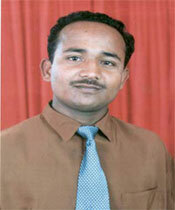 Official Action: The police filed a FIR on June 28, 2006, but have not carried out a serious investigation. On November 2, 2007, Bhakta Bahadur Sapkota, Sarala’s father, made an application to the Supreme Court seeking an order against the DPO and the district public prosecutor office in Dhading requiring them to carry out an investigation. As of August 2008, the case was pending in the Supreme Court. Update (September 2009): Supreme Court hearings on the mandamus application scheduled for January 5, 2009, and June 22, 2009, were both postponed because the court did not have time to conduct them. The next hearing which was scheduled for August 16, 2009, could not take place for the same reason. The next hearing is scheduled for January 25, 2010. Thus, a petition seeking a prompt police investigation has gone unheard by the court for more than a year.